Once again, the color challenge has surprised me! A few weeks ago I was whining about how hard it is for me to use the color red. This week, I had an equal challenge...burgundy. I mean, after all, it's practically red anyway!! 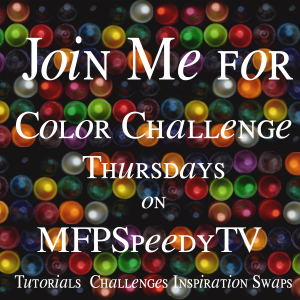 So, as you've probably guessed by now, the Color Challenge this week at MFP Speedy TV is to use burgundy and grey on your project. I decided to go very clean and simple on my layout this week. (I must be on a CAS kick this week since my card yesterday was the same!) 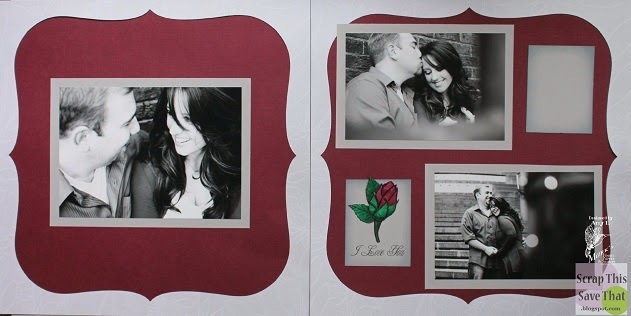 The photos I used are from an engagement portrait session my daughter and her fiance did last month. I decided not to even put a title on the page. To me, the pictures are so gorgeous, I just let them speak for themselves. 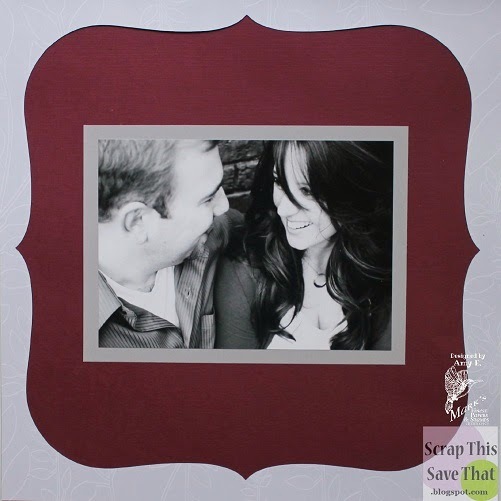 I started with two pieces of solid-color 12 x 12 cardstock. I was going to do some tone-on-tone stamping, but decided to keep the design very clean. 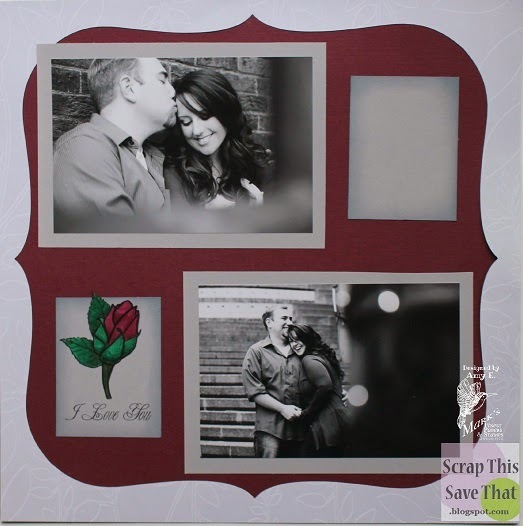 I used the two grey frames I had cut and shown in a Money-Saving Monday Post a few weeks ago. There's a very light pattern on it, but it didn't show up well in my photo. I matted the photos on some darker grey cardstock, and then used the same color for the stamp and journaling space. I inked those two pieces with Tim Holtz Distress ink in Stormy Sky. I used the Mark's Finest Paper's Love Remains stamp set. I stamps the rose on white cardstock, colored it with my Bic Mark-Its, and then fussy cut it. I wanted it on white so the colors would be truer than on the grey. I stamped my sentiment below and then added a block for some journaling for later. I hope you'll consider linking up with us this week. You have until next Wednesday at 5 pm PST. See you there!